While the table-topping Titans are already assured of the home semi-final with an impressive tally of 28 points from their nine games, their opponents on Saturday, Knights still have a fighting chance in joining their opponents with a win in Bloemfontein. Knights were dealt a massive blow as they succumbed to the Cobras' new ball pairing of Kleinveldt and Philander to find themselves in a rather precarious situation while for the Titans, this match presents another opportunity for them to test their bench strength in the absence of regulars, Chris Morris and Heinrich Klaasen as they head into the business end of the tournament. 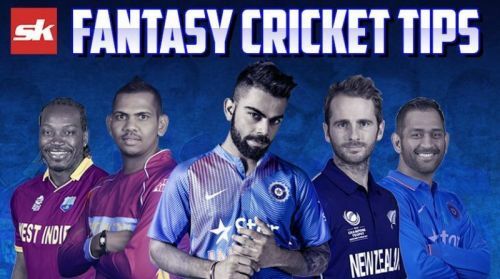 With another exciting contest on our hands in the Momentum One Day Cup 2019, here are a few tips to help you pick your Dream11 team. Inspite of a loss in their previous match, they should field the same side with the likes of Rudi Second and Shadley van Schalkwyk in good form. Experienced players such as captain, Pite van Biljon and Keegan Petersen need to step up with their campaign on the line while Ryan McLaren's all-round abilities are sure to come into play with his experience complementing the pace of de Lange and Budaza. Possible XI: Kruger, Gous(WK), Petersen, Biljon(C), Second, Mokoena, McLaren, Schalkwyk, de Lange, Ntuli and Budaza. Like their opponents, Titans shouldn't be fazed by their loss against the Lions and field the same playing XI, led by Dean Elgar. Jonathan Vandiar's brilliant hundred bodes well for the Titans in the long run while they will be wary of their lack of experience in the bowling department with only Junior Dala consistently performing with the ball. Possible XI: Sekhukhune, Rosier, Vandiar, Elgar(C), Behardien, Thomson, Moonsamy(WK), Bosch, Dala, Piedt and Mothoa. A good batting track with overcast conditions are in order with the previous match being abruptly interrupted by rain. Seamers are sure to get help first up, paving the way for a few early wickets in either innings. Wicket-keeper: With the form in which Rudi Second is in right now, one wouldn't dare to look past the Knights keeper in what is a do-or-die game for them. Second, recently went past 2000 Momentum One Day Cup runs, only the third player to do so, making him a great selection for the fantasy team. Batsmen: Keegan Petersen and Pite van Biljon are viable picks with both of them capable of scoring big runs for the Knights while Dean Elgar's added bowling ability only strengthens his case to be included in the fantasy team. One of Vandiar or Rosier should suffice in completing the batting department. All-rounders: Former South-African all-rounder, Ryan McLaren is a must have in the side with his clever variations bound to yield a wicket or two while Corbin Bosch is also one to look out for in the absence of star all-rounder, Chris Morris. Bowlers: Junior Dala has been sensational this season with season-high, twenty wickets - seven more than any other bowler. Along with the former Delhi Capitals pacer, Marchant de Lange and Shadley van Schalkwyk are also great assets while Alfred Mothoa's pace could be pivotal on a pacy Bloemfontein pitch come Saturday. Captain: Dean Elgar is one of the prime candidates for captaincy with the south-paw given the responsibility of the sixth bowler as well. Rudi Second is another viable option for captaincy although it should be the Titans captain who should get the nod over Second.